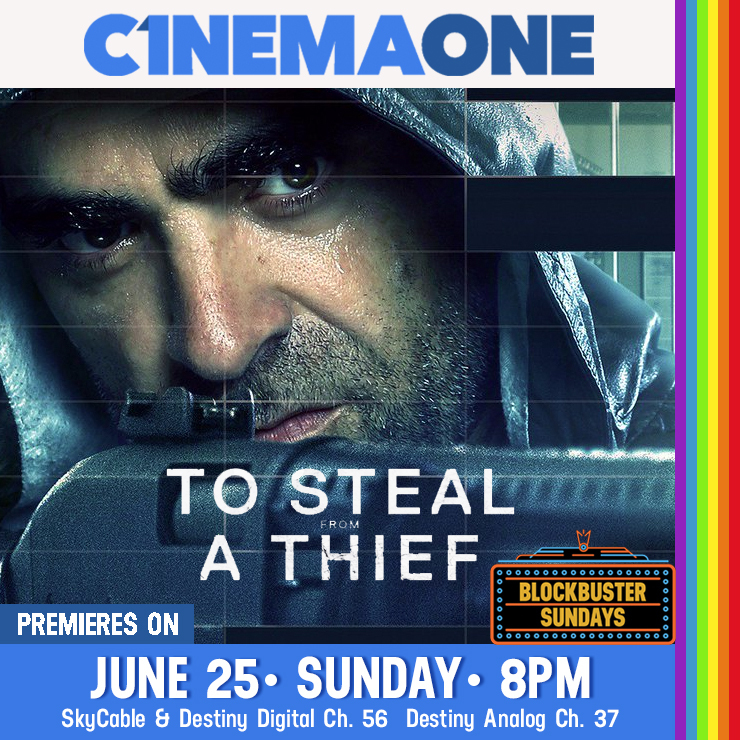 Witness a supposedly clear-cut bank heist that turned awry in the enraging Spanish-Argentine crime thriller “To Steal from a Thief” (Cien Años de Perdón), Cinema One’s blockbuster treat this Sunday (June 25). The suspenseful robbery movie, dubbed in Filipino, is about six armed bandits who has one specific mission: to attack a bank in Valencia, Spain. Nothing goes as planned that day, and with no back-up plan for a way out, mistrust haunts the gang leaders. Tensions also arise among security forces who respond, with orders becoming contradictory, leading to the shocker that the bank’s safe deposit boxes have something else besides gems and bills. The film has received positive reviews from critics. “The first Spanish blockbuster of 2016, Daniel Calparsoro’s well-dressed, high-energy heist thriller blends action with a timely critique of contemporary political corruption,” says The Hollywood Reporter. This action-packed movie stars Spanish actors Luis Tosar, Raúl Arévalo, and Jose Coronado, and Argentine actor Rodrigo de la Serna. It received two nominations in the 31st Goya Awards of the Spanish Academy of Cinema, one for best new actor for de la Serna and another for best screenplay for Jorge Guerricaechevarría. Cinema One is the leading cable channel in the Philippines. Its programming includes a line-up of mainstream and independent local and foreign films, film related programming, and original content for television. Catch the thrilling heist in “To Steal from a Thief” on Cinema One this “Blockbuster Sunday” (June 25) at 8pm. Cinema One is available on SkyCable and Destiny Cable Digital Channel 56, and Destiny Analog Ch. 37. Like Cinema One on Facebook at facebook.com/Cinema1channel to view full schedule.